hitch one’s wagon to a star: (Canada, US idiomatic) To commit to an aspirational goal or course of action that will lead to fulfillment. In the end times, the whole world worships Satan–except for those whose names are written in the book of life of the Lamb. It could be said that the whole world hitches its wagon to Satan’s star; i.e., the whole world commits to Satan’s plan for man. In other words, man rejects God and Jesus Christ and chooses Satan to lead man to green pastures. Some make this choice willingly. Many others are persuaded to come along for the ride. The truth is that Satan is a notorious liar. In fact, Satan’s main power may be that he is an accomplished liar. Jesus Christ called Satan the “father” of lies. 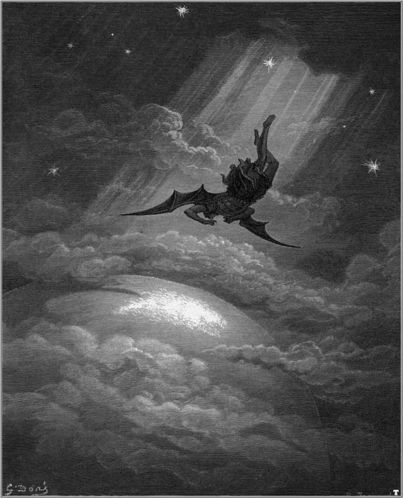 SO, all of those poor, deceived workers of iniquity who dreamed about the day that Satan’s end times plan would come to fruition–who had hitched their wagons to Satan’s star–will find out (to their eternal dismay) that there is no truth in Satan. After living a lie (or more than one lie) their entire life, some will find that they have been working for a liar and dreaming a lie. When that cold, numbing reality washes over them, those poor, deceived souls will discover that they have hitched their wagon to a fallen star. HAS the reader become a servant of those he KNOWS lie to him?